b. 5 Feb. 1788, 1st s. of (Sir) Robert Peel I*, 1st Bt., by 1st w. and bro. of William Yates Peel*. educ. by James Hargreaves, curate of Bury, until 1798; by Francis Blick, vicar of Tamworth 1798-1800; Harrow 1800-4; Christ Church, Oxf. 1805; L. Inn 1809. m. 8 June 1820, Julia, da. of Gen. Sir John Floyd, 1st Bt., of Mansfield Street, Mdx., 5s. 2da. suc. fa. as 2nd Bt. 3 May 1830. Under-sec. of state for War and Colonies June 1810-Aug. 1812; chief sec. to ld. lt. [I] Aug. 1812-Aug. 1818; PC [GB] 13 Aug. 1812, [I] 5 Sept. 1812; commr. treasury [I] 1814-17; sec. of state for Home affairs Jan. 1822-Apr. 1827, Jan. 1828-Nov. 1830; first ld. of Treasury and chancellor of Exchequer 10 Dec. 1834-18 Apr. 1835; first ld. of Treasury 3 Sept. 1841-6 July 1846. Capt. Manchester regt. militia 1808; lt. Staffs. yeoman cav. 1820; rector, Glasgow Univ. 1837-8. 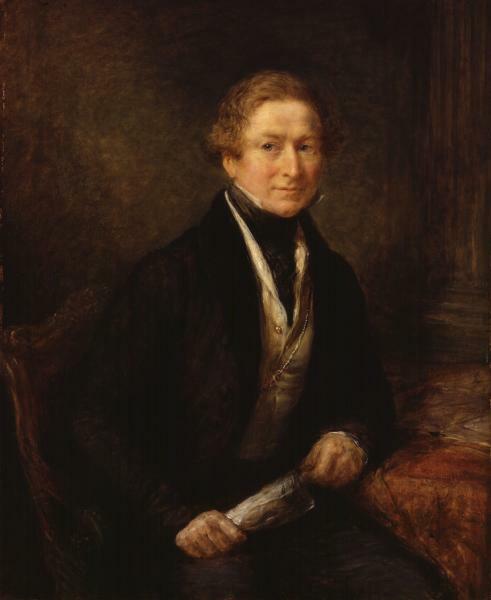 Peel made his maiden speech on 23 Jan. 1810, when he seconded the address. His father, thanking Spencer Perceval for giving him this opportunity, wrote, ‘He possesses capacity, industry, and virtuous habits and under the guidance of a judicious and well informed friend he may become an useful member of society’. Peel’s speech, endorsing ministers’ conduct of the war against Buonaparte, was described to his father as the best maiden speech since Pitt’s. William Lamb, more critically, reported, ‘Mr Peele [sic] seconded it fluently and in a good manner, but with poor argument’; while Thomas Creevey believed Peel made ‘a capital figure for a first speech. I think it was a prepared speech, but it was a most produceable Pittish performance, both in matter and manner.’ Perceval informed the King that Peel performed ‘very ably’, vindicating his ‘very great character for talent’. On 30 Mar. Peel spoke for government, as he had invariably voted, in defence of the Scheldt expedition. He was not incapable of independent gestures, as when on 31 Jan. he voted against the government nominee for the finance committee, to which Perceval had just named him, when hounded out of ‘concealment’ by the tellers; and on the question of Burdett’s sentence to the Tower, 5 Apr., he told Canning, who ‘hoped to seduce’ him, that he ‘would not have voted with govt., if I had not’. Nevertheless he voted against the release of Gale Jones on 16 Apr. and was a forthright critic of the Middlesex and London petitions on Burdett’s behalf in the debates of 8 and 9 May.3 Moreover, he voted against sinecure and parliamentary reform, 17, 21 May 1810.
was answered and pulled to pieces in one of the most beautiful as well as argumentative speeches ever delivered in the House, by young Peel, who gave another proof that there was ability on our side of the House. He was applauded almost as much by opposition as by us at the end of his speech, and by Whitbread not least. As to argument, he put the whole matter at rest. Peel found much to irk him as chief secretary: particularly attending Parliament before Christmas to no apparent effect and the uphill struggle to get Irish friends of government, even office holders, to do so despite their endless clamour for patronage; and the scant time, packed into the end of the session, allowed him for introducing legislation of purely Irish interest, to which not only the House at large, but also his ministerial colleagues were so indifferent. He was at odds with the parasitism and corruption that prejudiced Castle rule in Ireland and with the inefficiency of the civil service, the judiciary and the subsidized newspaper press which bedevilled it; he was appalled by the savagery that punctuated Irish life. The only alternative to a coercive system of government seemed to him to be a comprehensive system of education, but as the prevalence of sectarianism obviated the acceptance of any rational scheme (23 Mar. 1813), the best he could hope for was the mitigation of ‘garrison’ rule (25 May) and of administrative corruption (11 June 1813). While he conceded a small additional grant to Maynooth College, Peel had no confidence that anything could be achieved by the concession of relief to the Irish Catholics and in his first major speech as chief secretary, 1 Mar. 1813, answered his predecessor Wellesley Pole’s arguments in favour of it point by point. Again on 13 May he intervened against the Catholic relief bill, which, without adequate securities for the Protestant minority, he regarded as obnoxious and premature. ‘Orange Peel’, as O’Connell dubbed him, intervened ‘with considerable warmth’ in the debate on the alleged abuses of the Orange societies, 29 June 1813, but not so much to defend their character as that of the viceroy which had been impugned. In February 1816 he was back in his place to defend the Irish part of the army estimates, pointing out that the need for a garrison of 25,000 soldiers proved that there was no ‘magic’ solution to Ireland’s problems, though he envisaged replacing them with ‘an army of police’. Lord Grenville commented, ‘Peel’s speech is a plain and distinct avowal that Ireland is and must be purely under a military government’ and concluded that the separation of the two countries was the only alternative.10 Peel had no such conclusion in mind: his Irish sympathies were broadening. He espoused Irish interests in debates on the corn trade, the property tax (which he in general supported to the end), linen duties, agricultural distress and distillation. Peel made a speech of little merit in point of substance, but so clearly and elegantly expressed and so well delivered as to be applauded to excess. He is a proof of the great value of the mechanical parts of speaking, when combined with industry and caution. He now fills the too important place of spokesman to the intolerant faction. Peel was outwardly uncompromising, too, about the maintenance of a large military establishment in Ireland, 13 May 1817, but he had agreed with the cabinet to reduce it in defiance of his Irish subordinates and had on 11 Mar. moved an amendment to the Irish peace preservation bill, to introduce ‘something like an effective police’ to replace the military (a process that was finally achieved in 1822). When on 21 May 1817 he renewed the Irish Insurrection Act for a year, he assured the House that it was now rarely applied and it met with little opposition. He had never found his Irish contingent so docile.11 At the end of the session he assisted the passage of the Irish grand jury presentments bill, intended to improve local government in Ireland, which he had encouraged Francis Horner, Edward Synge Cooper and William Fitzgerald successively to carry: in the ensuing session he supported some amendments to it that were found necessary. 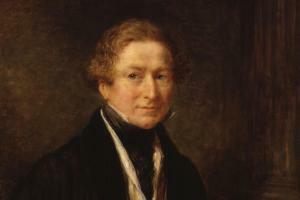 Peel had not intended to remain chief secretary on Whitworth’s retirement and had misgivings about the choice of Lord Talbot, with his Irish connexions, to succeed as viceroy. On 30 June 1817, however, an address of 59 Irish Members urging him to stay showed him how much his services were appreciated and he agreed to remain for the time being, to Liverpool’s relief. His administrative ability had been severely tested by the famine threat in Ireland that year, when he was not able to be on the spot, but he was given credit for the relief measures that followed his stringent inquiries on the subject, which obliged his Irish subordinates to supply him with the information on which to act. The typhus epidemic that followed the famine further exercised him. He was also preoccupied with securing retrenchments on the overmanned Irish establishment and in implementing reforms in Irish judicial fees recommended by the commissioners, which he announced in the House on 2 Mar. 1818.13 Applauded as he now was by such Irish patriots in opposition as Sir John Newport, he encountered no embarrassments in the session of 1818 on Irish business, except for the move to repeal the Irish window tax, which he resisted. As if to make up for this, Peel, ever a dutiful son, sallied forth in debate to defend his father’s bill to regulate child labour in the cotton factories, which he did admirably, 19, 23 Feb., 6, 17, 27 Apr. 1818. He also represented the interests of Oxford University in the debates on the copyright bill during the same session. Peel presented his chairman’s report advocating the resumption of cash payments by the Bank on 24 May 1819. This speech set the tone for an era that relished plain facts and it greatly enhanced his stature. He recanted his views of 1811 on the subject, which had been ill-informed, and admitted his disagreement with his father on it; but he avoided politics and although it was reported that no minister cheered the unpalatable truths he had to present, he went on to secure a quiet passage for the two epoch-making bills based on the report.17 It was again without holding a government brief that on 23 June 1819 he indulged in a skirmish with Brougham, for whose exclusion from the Bank committee he had voted in February, over the charity foundations bill, alleging that Brougham had far exceeded his terms of reference as chairman of the committee of inquiry into education. Though Brougham responded savagely, Peel retorted and the combatants reached deadlock. Peel was one of the non-official friends of government invited to Castlereagh’s dinner of 22 Nov. 1819 to discuss repressive legislation following the tumult at Manchester. Illness kept him away from the debates on it until 2 Dec. when he justified the conduct of the local magistrates and defended the seditious meetings prevention bill, denying imputations of inhumanity. On 9 Dec., resisting the proposed inquiry into the plight of the industrial areas, he maintained that their condition was beyond parliamentary control. Privately, he admitted that there was evidence of a growing public opinion, particularly in those districts, which was at odds with the unreformed Parliament. Such perspicacity was ominous in a man described that year by James Abercromby* as ‘made to be the darling of the Tories and of the Court’ and who, with his ‘very considerable talents for business’, must be ‘a leading man in our country’. He was now expected to succeed Lord Sidmouth as Home secretary, but had to wait until 1822 to do so. Wellesley Pole insisted, in 1820, that Peel’s leaving his Irish office when he did had lost him a reservoir of adherents and proved that ‘it was a foolish thing to think of influence without office, let the ability be ever so great’.18 Even as prime minister, Peel remained open to conviction. He died 2 July 1850. 1. Recollections ... of Samuel Rogers (1856), 250, cited by N. Gash, Mr Secretary Peel, 39, on which this article is based. 2. Gash, 47-48; Add. 40605, f. 5; Wellington Supp. Despatches, v. 619, 627. 3. Perceval (Holland) mss F54; Lady Bessborough and her Family Circle, 202; Creevey Pprs. ed. Maxwell, 122, 126; Geo. III Corresp. v. 4074, 4156; Harewood mss, Canning to his wife, 7 Apr. 1810. 4. Phipps, Plumer Ward Mems. i. 406-7, 408; Harewood mss, Canning to his wife, 13 Nov. 1810. 5. HMC Bathurst, 180; NLI, Richmond mss 72/1590, 74/1914; Add. 38249, f. 20; NLI mss 7817, pp. 295-7. 6. Lonsdale mss, Lowther to Lonsdale, 23 Oct. 1812; Add. 40221, f. 232; 40222, ff. 20, 64; 40280, ff. 35-37, 44, 45, 50, 85; 40605, f. 9. 7. Add. 38254, f. 258; 40181, f. 45; 40230, f. 21; 40231, f. 144; 40285, ff. 34, 89, 111, 112, 116. 9. Croker Pprs. ed. Jennings, i. 76-79; Parker, Peel, i. 191-201. 10. NLW, Coedymaen mss 5, f. 305. 11. Canning and his Friends, ii. 45, 50; Ward, Letters to Bishop of Llandaff, 166; Mackintosh Mems. ii. 347; Add. 40293, f. 103. 12. Letters of Countess Granville, i. 107; Add. 40266, f. 145. 13. Add. 40292, f. 25; Gash, 219-25, 231-2. 14. Croker Pprs. i. 116; Add. 40217, f. 380; Grey mss, Tierney to Grey, 3 Feb., 21 Dec. 1818, 3 Feb. 1819; Bagot mss, Lyttelton to Bagot, 16 May; Staffs. RO, Hatherton diary, 15 Oct. 1818; PRO 30/29/9/1, f. 227. 15. Grey mss, Monck to Grey, 20 Mar. ; Fremantle mss, Buckingham to Fremantle, 8, 30 July 1818; Moore Letters ed. Dowden, i. 460; Hatherton diary, 24 Jan. 1819. 16. Grey mss, Tierney to Grey, 3 Mar. 1819; Gash, 239; Pope of Holland House, ed. Lady Seymour, 197; Hatherton diary, 23 Feb., 3 May 1819. 17. Hatherton diary, 24 May 1819. 18. Croker Pprs. i. 170; Chatsworth mss, Abercomby to Devonshire, 14 Apr. 1819; Phipps, ii. 27, 48.